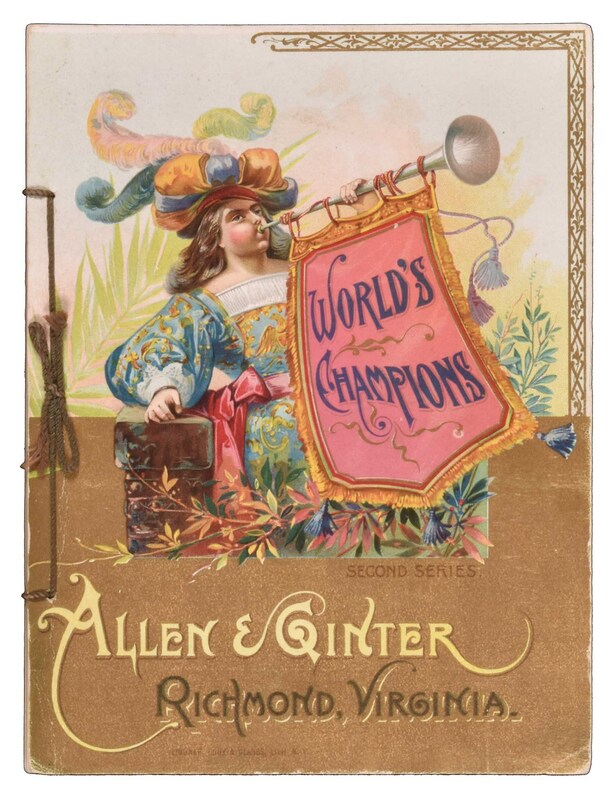 The beautifully designed 1889 Second Series Allen & Ginter "World's Champions" premium album features all fifty cards from the N29 Allen & Ginter set, including six baseball players (Ewing, Fogarty, Getzien, Miller, Morrill, Ryan), and eight boxers. 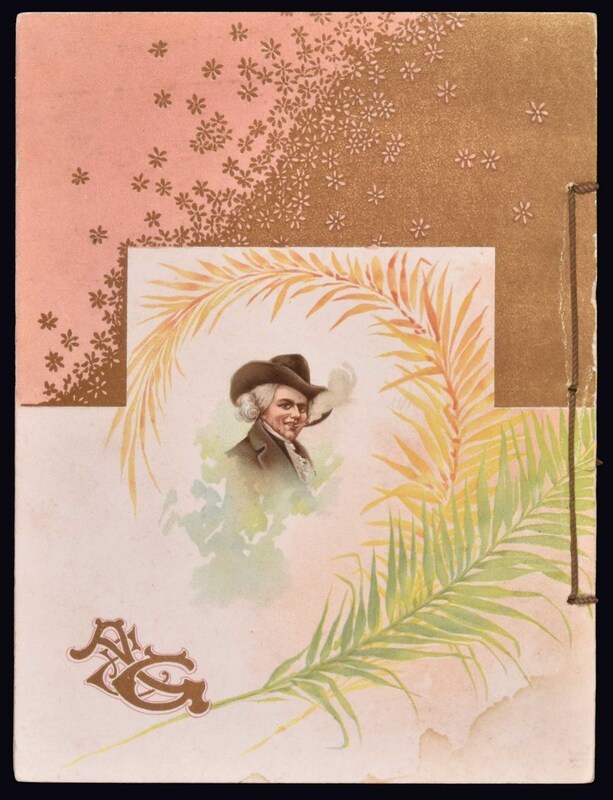 The tobacco companies spared no expense in producing these gorgeous full-color lithographic premium albums, which were available only by mail in exchange for coupons packed with tobacco products (in this case Allen & Ginter). The album displays some light corner and edge wear. The front cover has vibrant colors and several creases confined mostly to the edges The back cover has a few minor creases and a light stain in the lower right. The interior pages are all bright and crisp. The string binding is complete, original and intact. A very attractive example of this classic, extremely popular, and colorful premium that presents the complete N29 set in album form and represents such an outstanding value among nineteenth-century tobacco issues. Reserve $500. Estimate $1,000+.